Drive down to Balrampur via Sravasti, the place where Lord Buddha preached his sermons and performed one of his great miracles. Visit, Saheth and Maheth. Drive down to Kushinagar via Lumbini, the birthplace of Lord Buddha, an apostle of peach and love. The images of Maya Devi, Lord Buddha's mother can also seen here. Kushinagar is the place where Lord Buddha attained "Mahaparinirvana". Later drive down to Patna via Vaishali, where Lord Buddha preached his last sermons. Leave in the morning for Bodhgaya via Rajgir (the place where Lord Buddha spent 12 years of his life) then continue to Nalanda. One of the four most important place in Buddhist pilgrimage is Bodhgaya where Lord Buddha attained enlightenment. The focal point of the pilgrimage place is the Mahabodhi tree. Early morning visit to the temple and depart for Gaya Station to board the train to Varanasi. 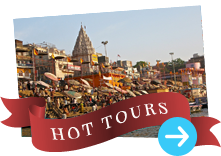 Arrive in Varanasi Station and transfer to the hotel via Sarnath. 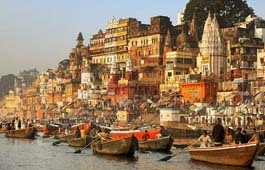 Morning boat cruise on River Ganges. Take a tour of the city with visit to Vishawanath Temple , Durga Temple and Tulsi Manas Temple. Departure transfer to the domestic airport to board the flight for Delhi. Arrival in Delhi and transfer to the International airport on time for early security check-in.